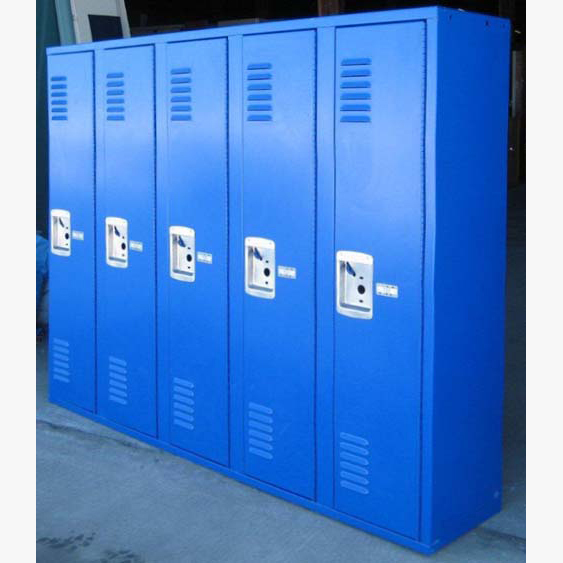 These Used Welded Lockers are available on www.buyusedlockers.com where they have a huge selection to choose from if we need additional supplies. 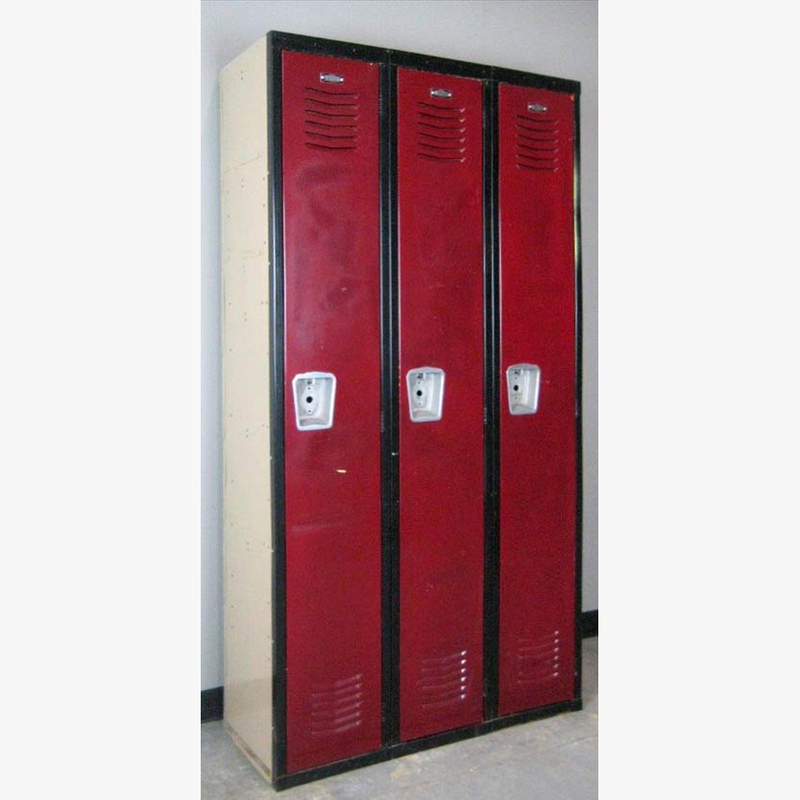 We have these very nice, used welded single tier lockers for sale that are 12” wide x 12” deep x 48.5” high. 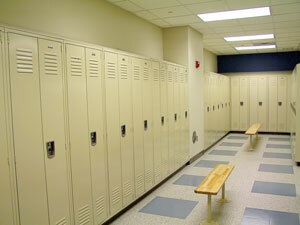 Each locker includes a shelf and 4 coat hooks and is secured with a common pad lock. These are painted blue inside and out with several layers of powder coat paint for long lasting protection. 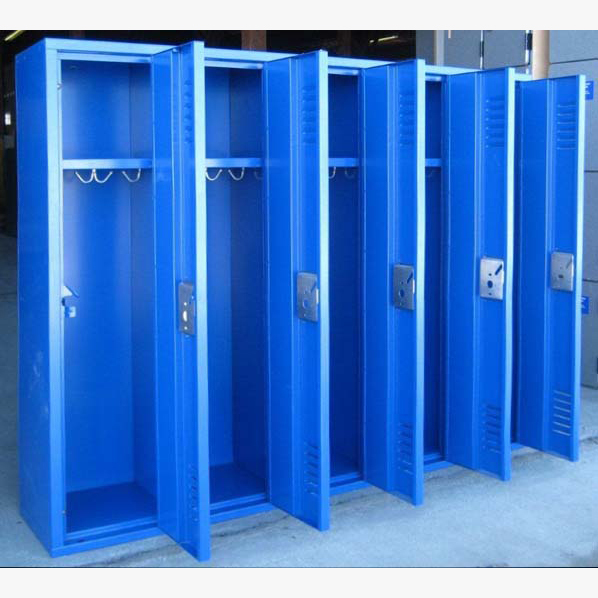 *NOTE: All welded lockers with premium quality constructed throughout with single point latching doors that are heavy duty (14 Gauge Steel) and reinforced with continuos door pans which provides the highest level of rigidity and security available. Also quieter than multi-point latching type doors. 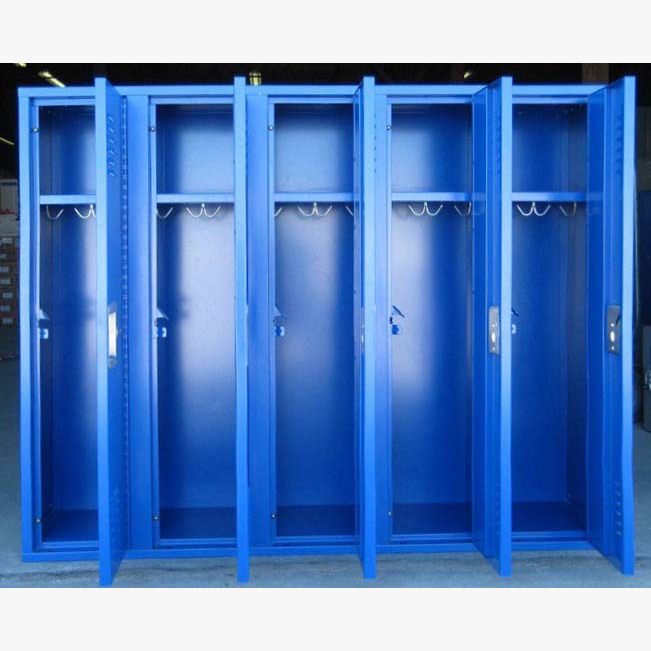 Welded in groups of 5 lockers wide and include reinforced doors for superior strength. If you are interested in buying call today for pricing and shipping details. 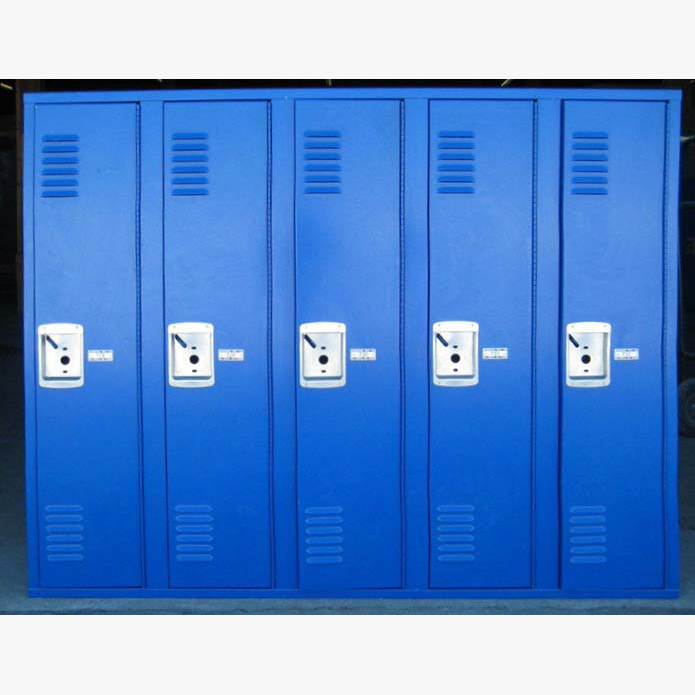 Shorter heigth lockers like these are ideal to place under windows in hallways, under counters or for younger kids in elementary schools and more.